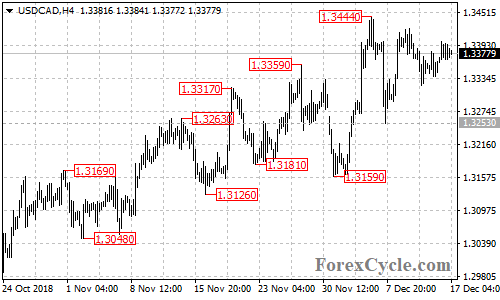 USDCAD moved sideways in a trading range between 1.3253 and 1.3444. The price action in the range is likely consolidation for the uptrend from 1.3159 and further rise towards 1.3500 is still possible. Support is at 1.3300, only a breakdown below this level could bring the price back to 1.3200 area.